All this week, we’ve been talking about the brand-new Listing Expert Agent Program & Certification (LEAP). So today, we thought we’d take a deeper look and show you what’s actually in the program. We’re going to look at the four pillars of this course –the four main sections– and break down what you can expect to see in each. As we discussed in yesterday’s post, it’s crucial that clients and potential clients in your target market see you as the authority and expert for that market. The first section of LEAP shows you how to establish yourself as that expert. In this section, we dive into the concept of The Listing Expert Value Proposition and give you TONS of real-world examples of templates to help you build that reputation as a listing expert. 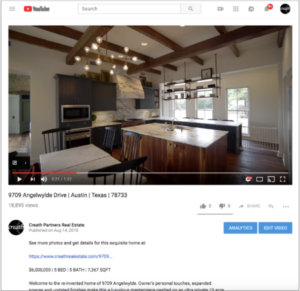 From powerful YouTube videos to beautiful postcards, we give you a structured plan and examples that’ll help you stand out from even the most seasoned or well-known agents. When it comes to listing appointments, we follow a 5-phase appointment that ensures a flawless listing appointment every single time. The section starts with what to do before the listing appointment. Before ever meeting with a seller, there’s a TON that needs to take place. Not only do you need to secure the appointment, but you should start doing the work of standing out from the competition and building trust with a seller before you ever meet them in person. Then we cover everything you need for a flawless listing appointment. A brand new listing presentation. Scripts and dialogues to go with it. By breaking it down into a simple, repeatable process you turn every listing appointment into a win. And to help you with all of this, we’ve provided a structured process with every template you could need. Questions to ask before the appointment… Check! A professionally designed listing presentation… Check! By using the tools and training in this section, you’ll have a process that will take all of the anxiety and fear of listing appointments. Instead, you’ll walk into each appointment brimming with confidence, knowing that you’ve got everything you need to ace it. What’s more, by following the same process every time, you’ll be able to replicate the 5-star experience with each and every client, which will help spinoff referrals and even more business. Part of standing out from the competition means promising sellers you have the skills and know-how to market their home to the greatest possible number of buyers and get the absolute best price for their home. 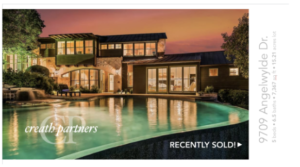 To fulfill that promise, you better have a pretty solid plan for marketing those listings. And that’s exactly what you get in this section. You get a full point-by-point checklist of everything you should do to market a listing. You’ll get an entire laundry list of things you could do as well as the essential 7 pieces of marketing we do for every single listing. You’ll also learn how to take your plan for marketing listings and turn it into a powerful marketing piece to share with sellers to build with confidence. Now, what many of you have been waiting for… The fourth pillar is all about finding new listing opportunities. In LEAP, we’ve identified our TOP sources and campaigns for generating new listing opportunities. From tried-and-true methods like expired listings & FSBOs to new online marketing & video marketing, LEAP has you covered for everything you need to get more listing opportunities. First, the bad news… LEAP isn’t available yet. The good news? We’re only a day away, and we have a very special offer for everyone on the Black Friday release. You don’t want to miss it, so make sure to check your inbox on Friday morning! I would like to learn how to get more listing leads. Sounds great. Are the templates the same as what is already available in coaching club? I’m interested in LEAP certification program. Haven’t received your email yet. It’s already Black Friday :). Thank you! 1) What, if any, is the time limitation on access to this course and the associated materials? 2) Is there any limit to the number of times that I may review the individual lessons? For example, say I want to re-watch a lesson four or five times to let the concepts sink in. Is that allowed? What if I want to review the entire course in six months. Is that possible with this one-time purchase?